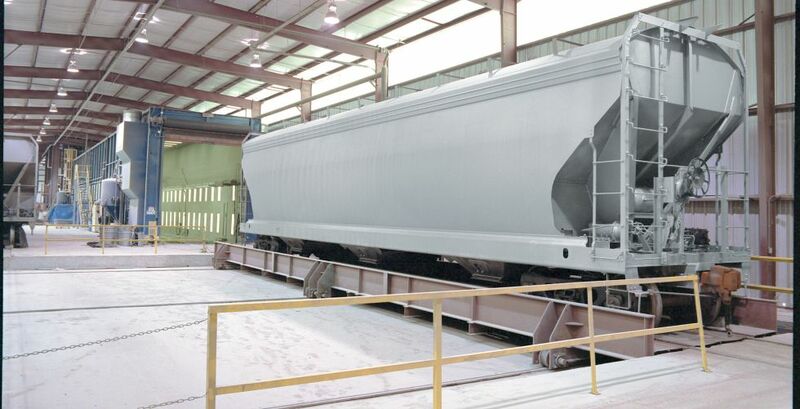 From cleaning huge cast parts like bogies, to peening leaf springs, through to removing paint from entire carriages, Wheelabrator has the capacity to serve the Rail industry. 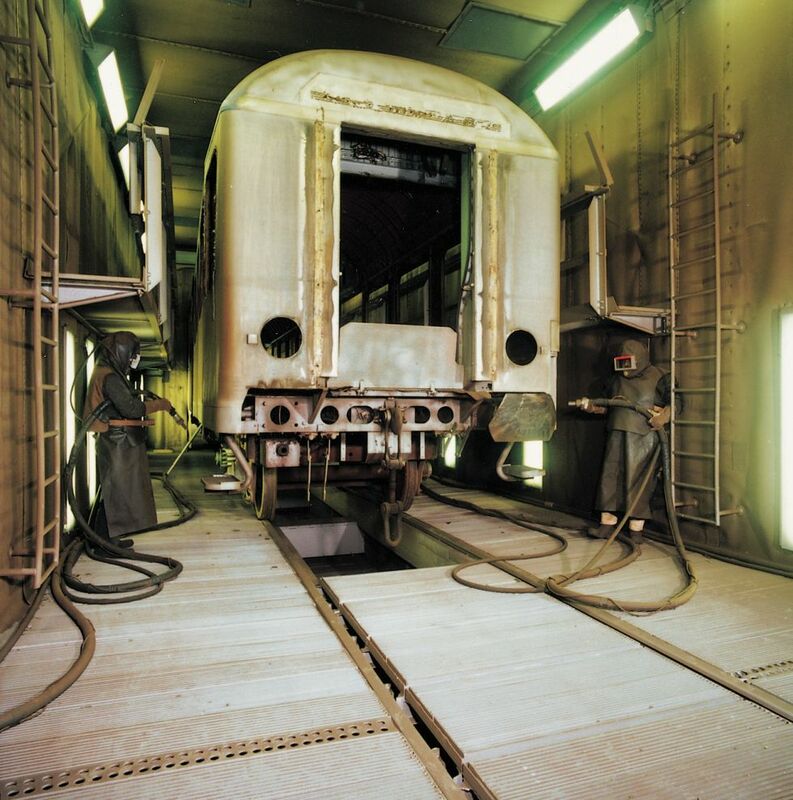 Both air and wheel blast technologies can be used to clean the parts found in the Rail industry. Factors such as the size, complexity and number of parts to be treated will determine the choice of machine proposed. Visit the Foundry and Forge pages for further information about treating cast parts. Wheelabrator offers technology designed to clean railway wheelset axles before crack initiation testing and the end control of dimensions. The surface is completely cleaned with all paint and oxide traces removed by means of a shot blasting machine. CNC (automated) equipment is preferred to manual technology to remove the margin for error. 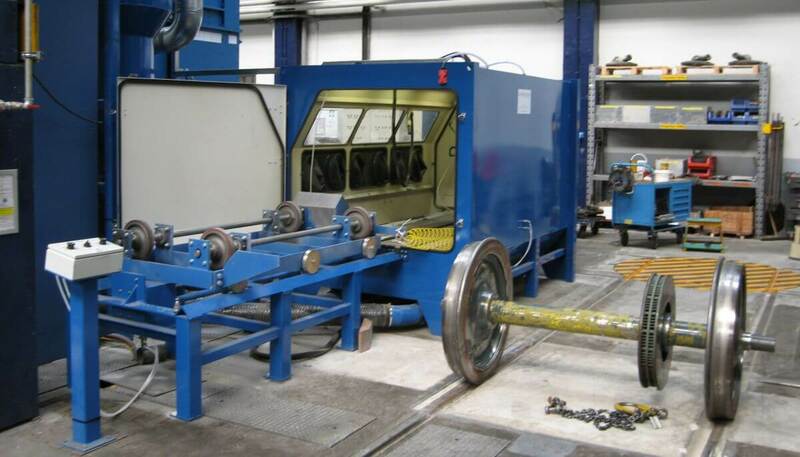 The shot blast machine (Es 11 x 22 H Ro S 2 m featured here) can clean 30 standard axles in an 8 hour shift, to a quality level of SA 2, SA 2.5 or SA 3 depending on the initial status of the railway axle. 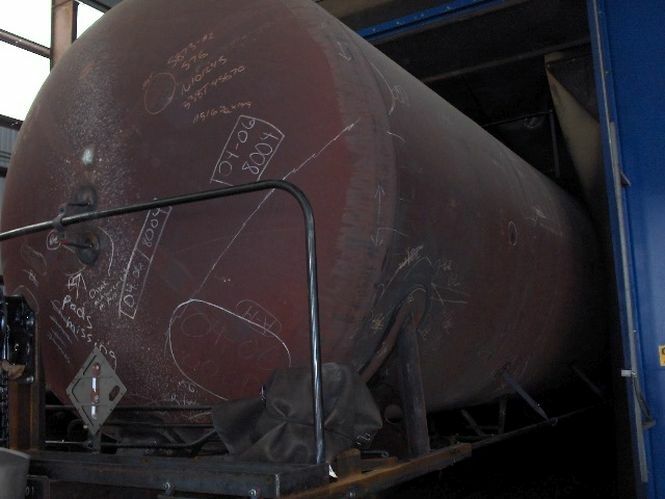 Roughness results: 0.6 to 4 μm with the above mentioned media and adjustable working pressure, these results being dependent on the wheelset’s initial status and paint or rust thickness prior to the blasting process. Railway components such as coil springs and wheels undergo rigorous work stresses. Wheelabrator's automated shot peening systems peen such components in high-production in-line machines. These machines are designed to withstand duty conditions prevalent in production environments such as railway workshops and foundries. 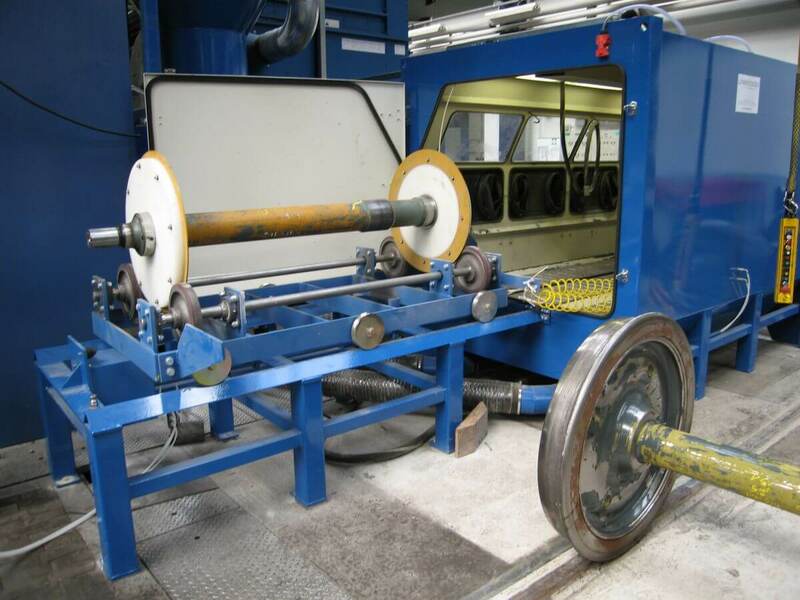 In-line coil spring shot peening machines convey coil springs on parallel rotating rollers with pusher fingers that transport them through the blast zone. Multiple blast wheels target the springs, providing different blast angles that peen the coil springs as they spin through the blast cabinet. 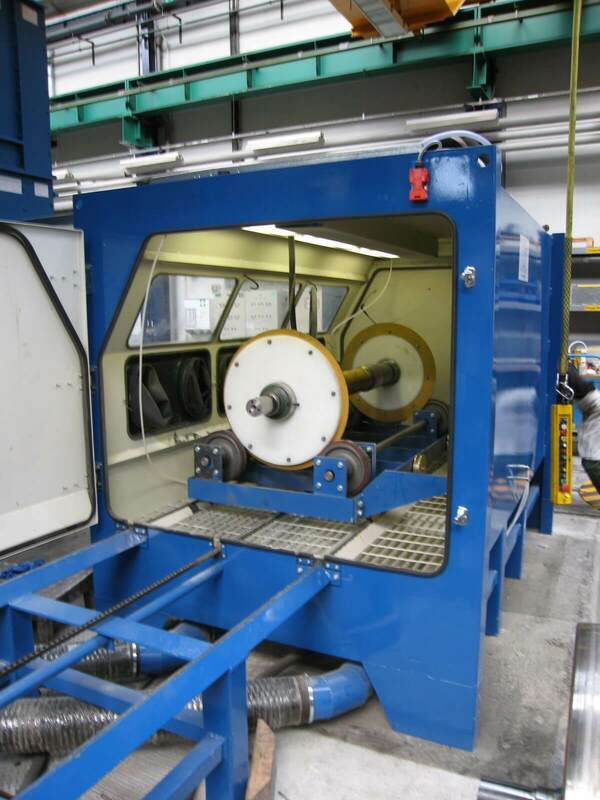 Railway wheels are shot peened in an in-line machine with two blast wheels targeting the wheel simultaneously from both sides. 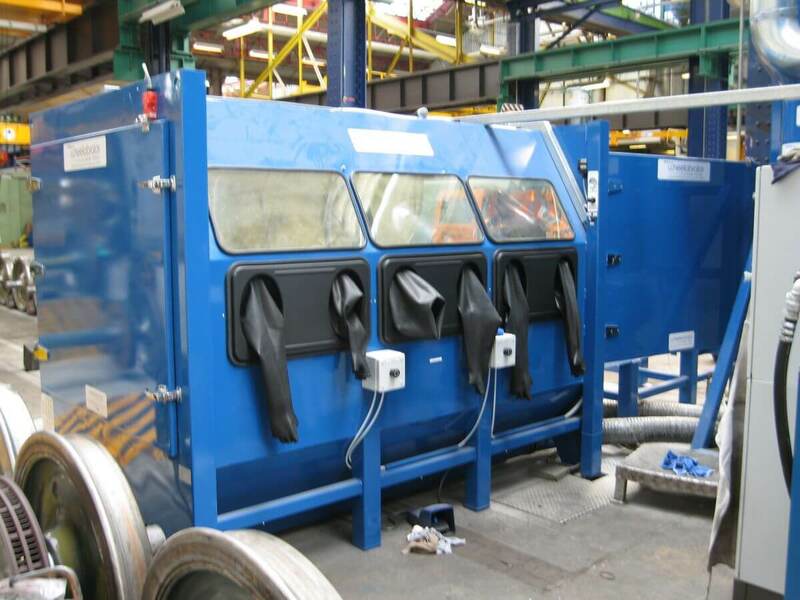 Wheels roll in and out of the blast cabinet assisted by automated work handling arrangements. A roller arrangement spins individual wheels in the blast stream. 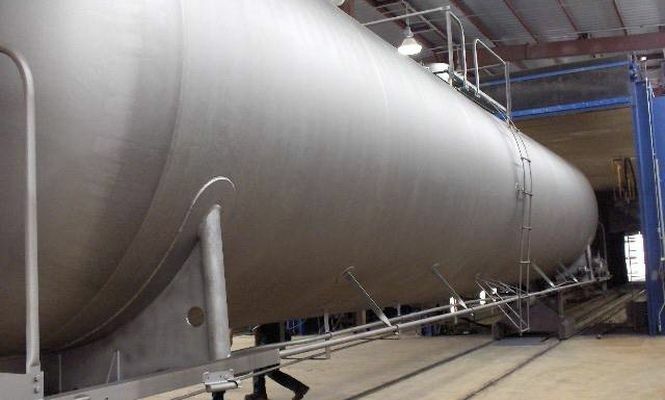 Both shot peening systems are built with elaborate process controls that monitor and control variables such as blast velocity, blast media size and media flow rate. Shot peening machines are designed with sophisticated yet simple to use controls that provide real-time information of the process and effective means of trouble-shooting. For smaller quantities of wheels, airblast machines can also be used. Airblast rooms can be made to any size to perform a variety of different functions. The blast nozzles are operated manually, with the operators standing on moving platforms (various options are available). For repair work, open blast or closed circuit machines can be used. 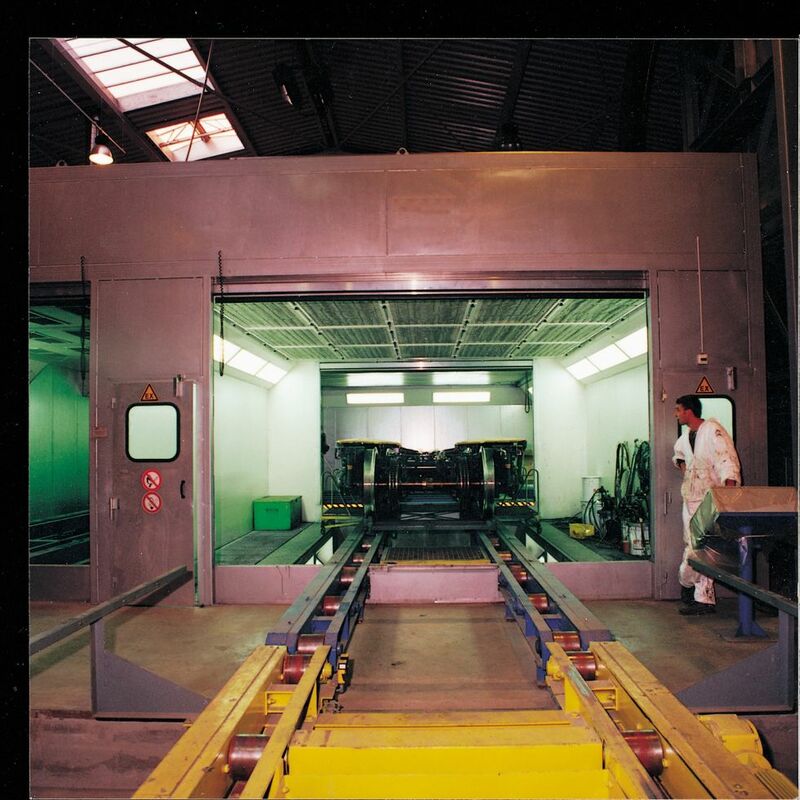 The Painting/Coating of such large workpieces such as workcars and coaches needs to take place in controlled environments that protect the worker from harm whilst ensuring an even, perfect finish. A favorite in the Aerospace and medical industries, where keeping abrasive quality is very important, the Ventus range is versatile enough to allow all types of personalization. Available as pressure fed or suction fed cabinets.